Minimum Truck Insurance Requirements | Hupy and Abraham, S.C.
After a serious truck crash, you are left trying to recover for your injuries. While you must endure your own physical pain and emotional suffering, you may have a legal right to financial damages that can help you recover not only from that pain and suffering but also for your medical expenses, lost income, and out-of-pocket costs. The value of these damages will depend on just how badly you were hurt in a truck accident and what you are able to recover from the trucking company. Often, the insurance policies that are relevant to your case are important factors in determining what you can ultimately recover. Accordingly, it is important to know the amount of all relevant insurance policies. $300,000 is required if the truck weighs under 10,001 pounds and is carrying non-hazardous freight. $750,000 is required if the truck weighs 10,001 pounds or more and is carrying non-hazardous freight. $1,000,000 is required if the truck carries oil and is moved by for-hire or private carriers. $5,000,000 is required if the truck carries other types of hazardous materials that are moved by for-hire and private carriers. The policies must cover bodily injury, property damage, and environmental restoration. Other types of insurance, such as cargo insurance, may also be required. The insurance coverage described above is the minimum that must be purchased. Some companies purchase additional insurance to protect their financial interests in case an accident does occur. 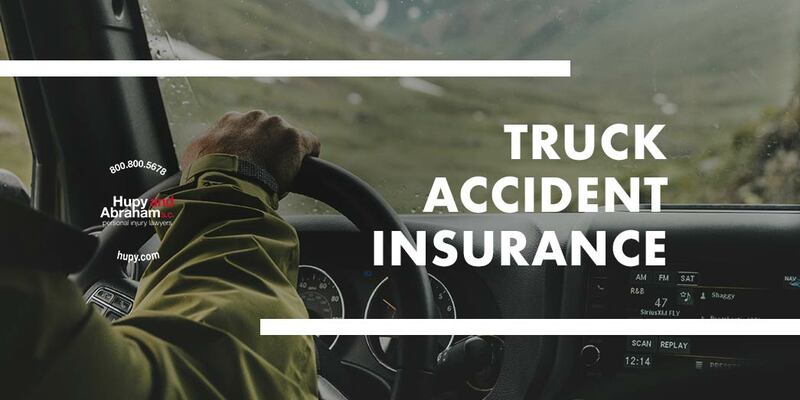 If you have been hurt in a truck wreck then your lawyer will do a complete investigate to determine the value of all applicable insurance policies and other financial sources for your recovery. Our experienced truck accident lawyers would be pleased to schedule a free consultation with you and to provide you with additional tips about protecting your truck accident injury case. Contact us online or call us directly at 800.800.5678.